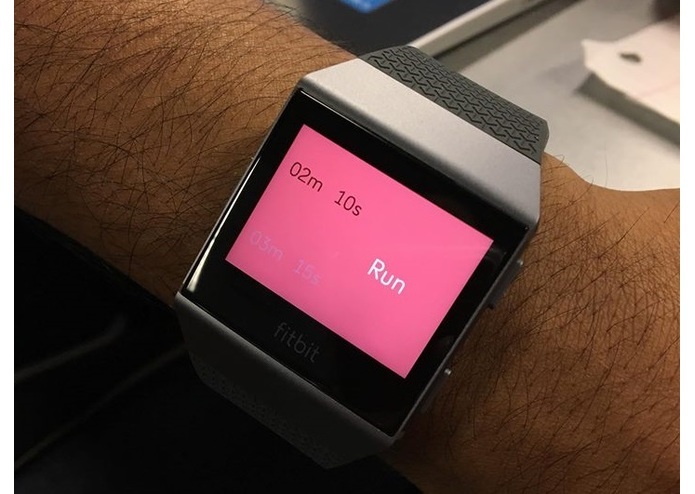 Interval Trainer allows the user to set duration for run, jog and/or walk intervals as well as the number of repetitions of this workout cycle they want to complete. 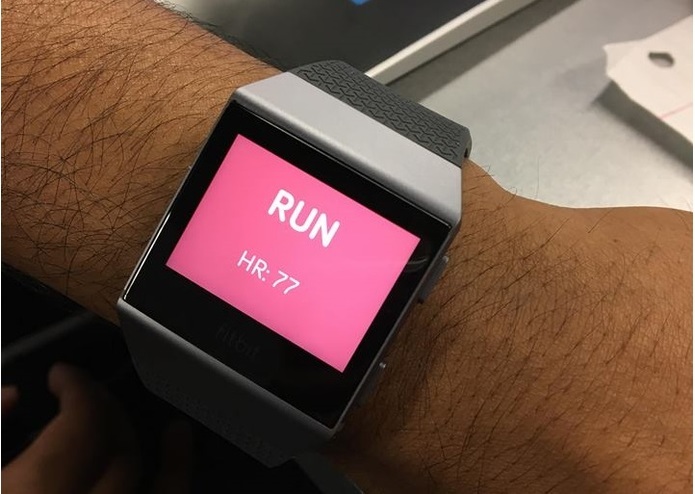 When the user starts their workout their Fitbit will track where they are in their cycle and vibrate to tell them when it is time to switch intervals. The Interval Trainer also tells the user their heart rate to help them analyze the intensity of their cardio activates. Interval Trainer allows athletes to perform interval training without working out on a treadmill or track.